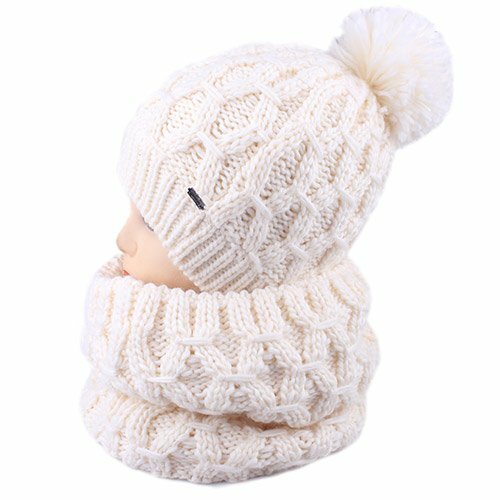 Detachable pom pom for washing purposes.Beanie and scarf set will keep you warm, great for outdoors, skiing, snowboarding or everyday wear.Suitable for both women and girls. One size. Head circumference: 52-60cm. Brand Introduction: FURTALK is a U.S.Registered young brand which setted in 2012,We focus on offering high qualified wool yarns products to young people as well as bring warm and fashion to your daily life.FURTALK promise high qualified products and service with high reputation.If you have any questions,just feel free to contact us,we will do our best to offer you help.